Stocs - the rope toy that will have you in knots! Stocs – the rope toy that will have you in knots! If you know how to tie a knot and you and your children are willing to imagine outside the square, this is the toy for you! Now I know, it looks just like a length of rope, but stay with me here because it is so much more than that. Stocs is the ultimate boredom buster as it sparks your child’s (and your own) imagination into top gear. 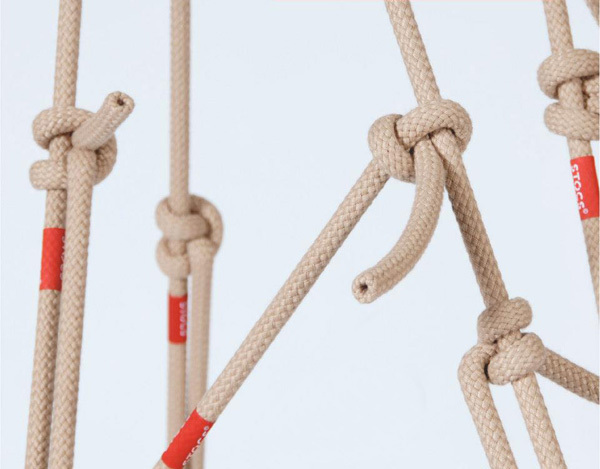 An awesome construction toy, each Stocs rope length is solid in the middle enabling it to ‘stand’ straight and has flexible ends for tying knots together allowing you to establish frames for just about everything and anything you can think of. Available in two rod lengths, extra large Stocs (€218) measure 95cm and come in a kit of twenty-five rods while medium size Stocs (€97) are 82cm and come in a kit of twenty rope rods. Choose from natural or red coloured Stocs and an added bonus is each kit comes with its own carrier bag for easy storage. 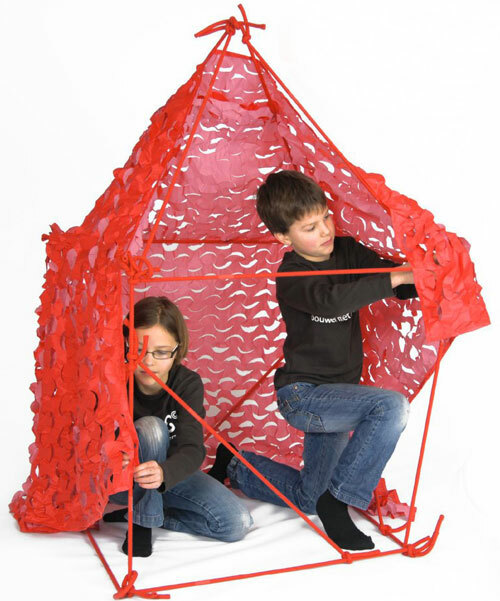 For even more fun, a net (pictured below, €48) is available in red or blue to make the very most of your fort-like creations. The Stocs website has great hints, knot tying tips and instructions for building, including annexes and play houses!